Mr Tumble is funny and so are his friends! Join Aunt Polly, Grandad, Tumble and many more in this annual which is packed with silly stories, songs, puzzles, activities, character profiles and games! And while you’re having fun there are some simple Makaton signs to try. 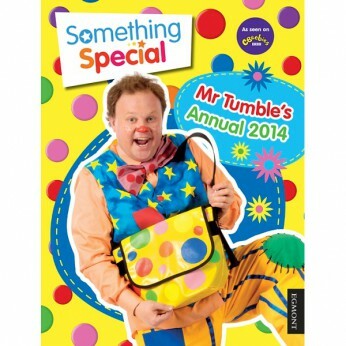 It’s perfect for all Mr Tumble fans…. This toy costs approximately £7.99 (for the latest and best prices make sure you check our retailer list for the Something Special Annual 2014 above). In our review of Something Special Annual 2014 we classed it as being suitable for ages 1 to 3 years, 3 years, 4 years but recommend you check the manufacturer specific advice before purchasing.